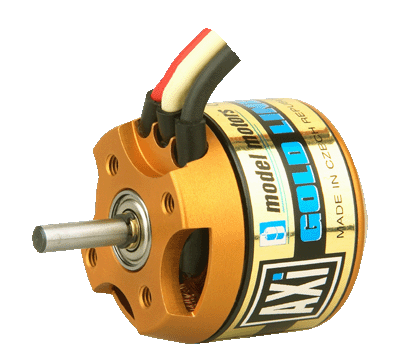 You will be surprised by the very high power delivered by these small and very robust, but light weight (57g with power cables) brushless motors with rotating case. Suitable for all models of Slow and Park Fly size weight up to 650g. The hardened steel 3,17mm diameter shaft is supported by two large ball bearings which ensure very good mechanical reliability with front or radial mounting. 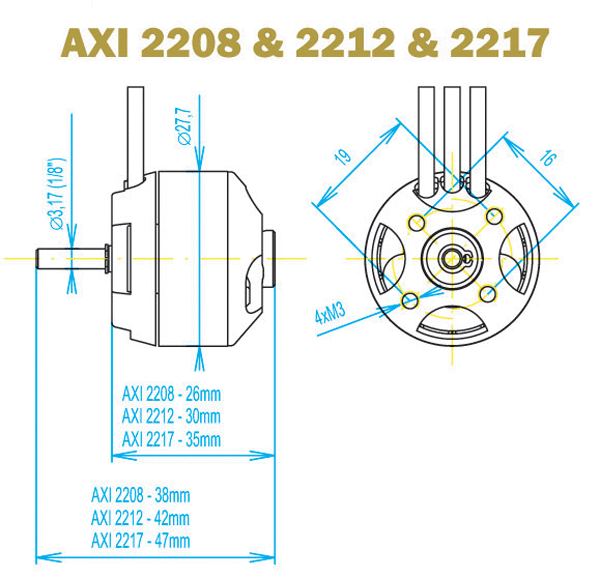 As a result of using the latest ferromagnetic materials the AXI GOLD 2212/26 LINE motors offer extremely high efficiency and high load capability for their weight. AXI GOLD LINE with the high quality of manufacturing, reliability and performance are the best outrunners available in the market. A feature of the AXI design is provided for radial mounting (see picture). 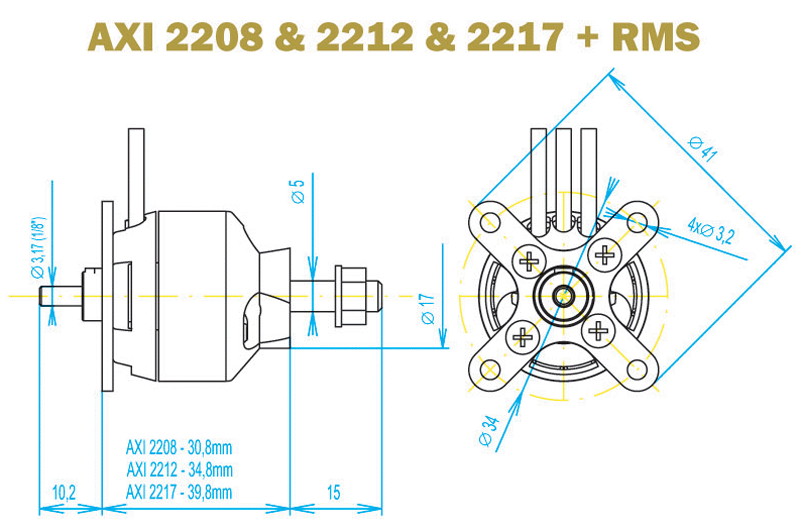 The optional radial mount set includes: mounting plate, propeller adapter, securing collar, and screws.